1,Made from Silk and cashmere, blend of 64% mulberry silk,11% cashmere and 25% polyester. The silk make the socks more breathable and silky smooth than cotton socks.The cashmere is soft and extremely warm. 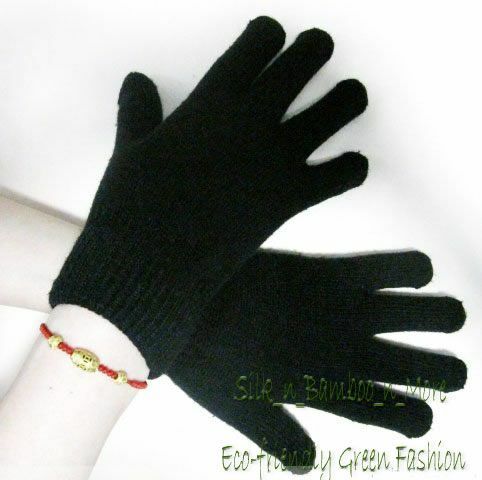 The polyester make the glove cuff more stretchy and keep the cold out of the glove. the Laid flat approx. 8.5cms, 3.35" inches (widest point under the thumb) x 15.5cms, 6.1" inches in length. It should be Ok for hand 6"~10" palm,probably it can be streched larger,but you may feel a bit tight. 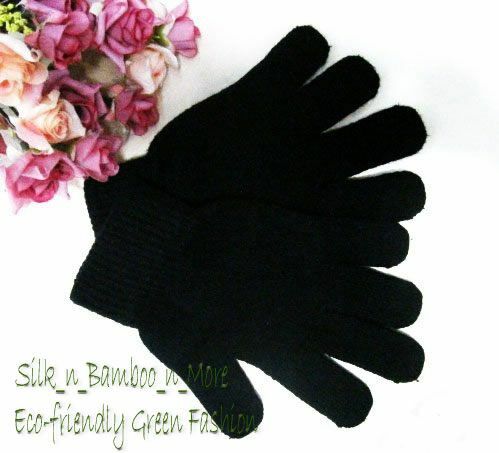 3, The golves feel like same as or a bit thicker the common knit cotton gloves. . Very stretchy and silky smooth,comfortable. These gloves are of high quality, and affordable. I purchased one for both my husband and I. The silk is breathable, and allows air to circulate freely, unlike polyester or synthetic material. A must for cool, winter weather. Thank you! Tag a product and collect 5 points.